A weary mule pulling a short wooden plough trudged from bush to bush led by a craggy faced man holding a short rope. Slowly but seamlessly, the man and his beast of burden worked to till the soft, almost sponge-like top soils in this remote vineyard in the middle of a grove of tall trees on the northern slope of Mt. Etna, hovering some 3000 feet above a sparkling Ionian Sea. Both laborers were local and neither was young, except perhaps in comparison to the gnarly looking, squatty vines they were tending with deliberate care under the late morning sun on a fine spring day. These ancient Alberello plantings with their arthritic looking short canes encased in thick bark have been around for 30 centuries in one way or another. They look it, too. This far up the mountain, things take on a lunar feel. Decomposed lava beds blanket the uneven landscape, interrupted only by occasional small patches of chestnut trees and random mounds of shrubbery scattered around like tossed dice. The dry lava underfoot is shifty, making walking unsteady and adding to the celestial sensation. When there’s a wild pig sighting it only further enhances the alien nature of this unique vineyard in the sky. Welcome to I Custodi and the “Guild of Vigneri,” the resurrected mythical ancient order of “protectors” of Mt. Etna’s native culture dedicated to preserving the old ways with respect for both the mountain’s land and its’ (hard working) inhabitants. Growing grapes and making wine is a unique challenge on Mt. Etna. The hours are long and the difficult work is all done by hand. Throughout the spring and summer, often the only reward is more adversity. But at the end of the season when the fruit on the paltry old vines finally ripens, something very special takes place and often truly great wines are made from the grapes grown in these desolate sites. At their finest, these epic wines transport one to a vinous paradise somewhere between Grand Cru Burgundy and Cru Barolo. That’s what we have here. Let me explain. Until fairly recently, viticulture on Mt. 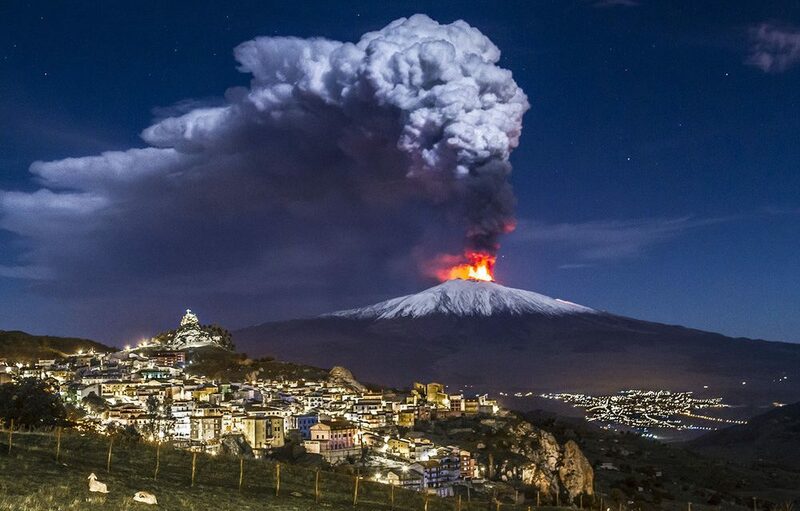 Etna was on a slow track to obscurity. The three millennia legacy was long but seemed to have no future. Old vines on original rootstock once flourishing on Etna, began to disappear under a perfect storm of rampant wild weed growth and regrettable human inattention. By the arrival of the new millennia, very few folks were left trying to make a go of it making wine on Mt. Etna. A handful of smart Italian wine guys with money fell in love with Etna and started their own wineries. Marc de Grazia and Antonio Franchetti, both successful importers of Italian wines and equally gifted specialists in discovering emerging regions and producers, led the way planting early flags on the mountain. Curiosity among peers soon gave way to commitment and within ten short years another 75 wineries, many owned by folks from the mainland, were established on Etna. It happened that fast! While all this was taking place a few local guys both from and (more importantly) of the mountain were watching closely. Salvo Foti, a native and acknowledged Etna guru is at the heart of this group. Fellow Etna natives Mario Paoluzi, I Custodi’s founder and vineyard wizard Maurizio Pagano from Vigneri are at his side. From this alliance of locals, I Custodi is born and given its essential form. called “contradas” located on three sides of the mountain. 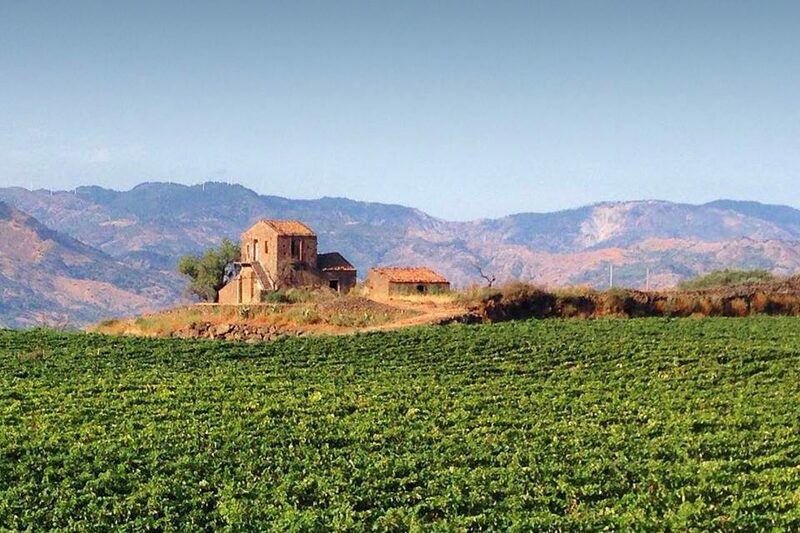 All of these tiny vineyards are established at extreme elevations – between 2,300 and 3,100 feet. Many of the vines are ungrafted and still growing on original root stock, a feature often credited with amplifying flavor transparency. Some of I Custodi’s vines exceed 100 years of age, a few are close to 200 years old. 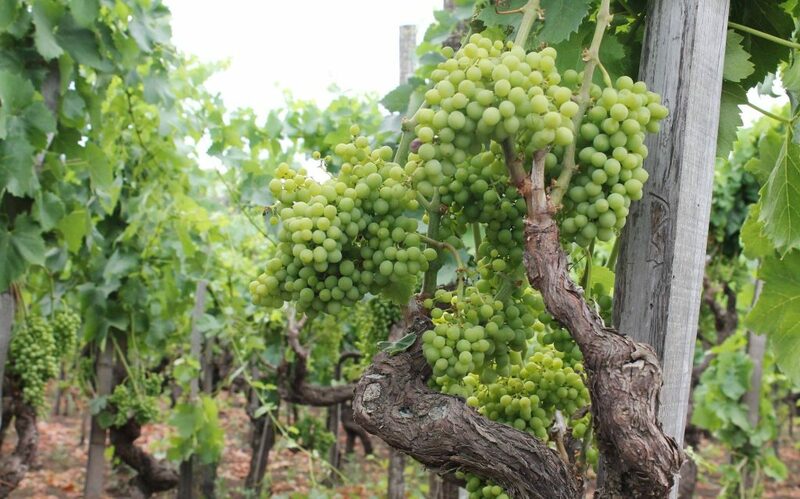 Most of the estate’s plants are trained Alberello style with equidistant (not row) spacing. Others are supported with chestnut posts. Terraces are imperative in some sites, often bare stone walls requiring constant repair. It’s all done by hand and by man and animal working together. Then there’s the overall guiding principal of both I Custodi and Vigneri – no chemicals are used in these vineyards, ever. I Custodi’s range is a trio of small production wines with enormous personalities. They are the product of warm volcanic soils and great sun exposure. They come from native grapes grown on indigenous vines in home-grown sites that are cared for by the people that live there. This connection is the soul of these wines and it is where the journey begins. Here’s our current lineup, a savory white and two compelling reds that capture a lot of what the Mt. Etna wine experience is all about. Cheers. I Custodi 2014 Ante, Etna Bianco – This mineral-driven, racy dry white is a native blend of 70% Carricante and 30% a mix of Minnella and Grecanico from 40-year old vines planted in sandy, volcanic soils at a high density and in a high elevation. Just like in the old days handpicked whole clusters are soft crushed and oak fermented. I Custodi 2015 Pistus, Etna Rosso – Pistus is the young vine (10-year average) and slightly lower altitude (1950 feet) version of the mountain’s traditional blend of the two dancing Nerello grapes – 80% Nerello Mascalese and 20% Nerello Cappuccio. As in the days of old, the wine ferments and later is held for eight months in cool concrete tanks. It sees no wood and is a true expression of the mountain combining savory fruit tones with a tangy backbone and a silky mouthfeel. 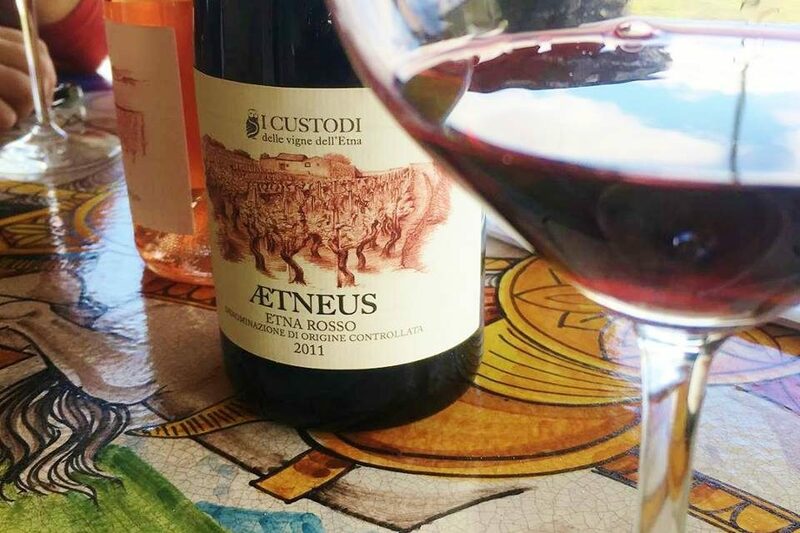 I Custodi 2010 Aetneus, Etna Rosso – Mario Paoluzi, I Custodi’s owner and founder calls Aetneus a wine without compromise. This is some of what he means. Extreme density plantings in high elevation sites – up to 10,000 plants per hectare and over 2,300 feet in elevation. Some of the older plants have been on original rootstock for over 150-years. No other terroir on planet Earth can match Etna’s unique blend of three active elements including volcanic morass, sandy subsoils and a mineral rich underbelly. The blend is the original one – 80% Nerello Mascalese, 10% Nerello Cappuccio and 10% indigenous Allicante. 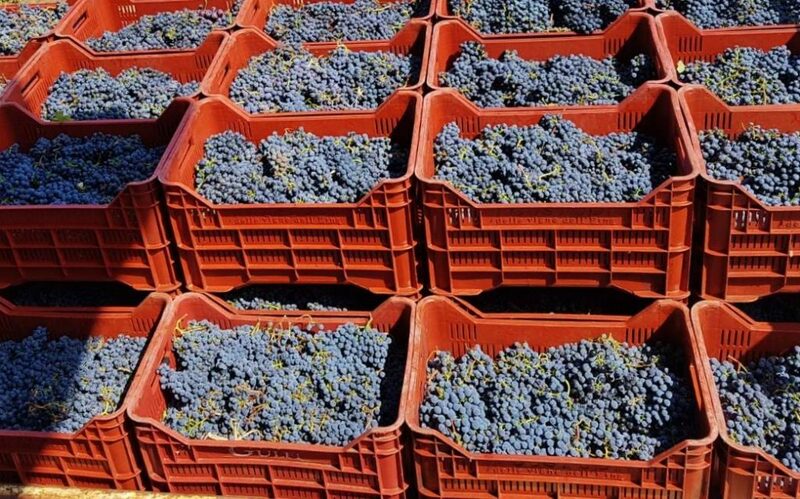 The grapes are picked late and processed slowly with extreme care. At the youthful age of seven turning eight, the 2010 is turning into a magic wine.